Brick and mortar to a physical presence of an organisation in a building or any other type of structure. This means that are remit can be a bit broad sometimes. But, generally, at Fort Worth Brick Repair, we deal with the repair and restoration of structures that have a brick component. This often means that we are working directly with your homes, which adds a new layer to the job. We understand how much your homes mean to you and we have homes which mean a great deal to us. That is why, at every stage of the process, you will be fully informed about the job that is taking place. Also, you will be fully informed about when work will be taking place and about how long it should take. It is very annoying to hire contractors who end up staying in your home for longer than they say they will and inadvertently interrupt your day to day life. Therefore, if you have work that needs doing, we will always do it to deadline at Fort Worth Brick Repair and if we don’t, there will always be a very good reason. We want to do a great job for you as efficiently as we can so that you can get on with you life as soon as possible afterwards without the hassle of continual work being done in your space. Bricks make some of the most simple and beautiful exteriors for houses known to man. They are stylish and safe, they are durable and rarely need maintaining. With that being said, no matter which house you live in, the brickwork will need a bit of love and care sooner or later. But, most people get stuck at this stage and they don’t know how to begin. Luckily, we are there to offer a helping hand. Normally, brick damage occurs due to a few reasons. However, most frequently, it is because the mortar that works to hold brickwork together starts to get worn out after a while. This manifests itself in the form of cracks, and spills between joints. At first, it is just cosmetic but over time, the consequences could end up being severe. For example, if left along, the bricks will eventually collapse and disintegrate which leaves the wall very vulnerable and completely unstable. We can help in a number of ways with this. Firstly, it is no good covering over any of these problems. Because the problem comes from the mortar it is necessary to replace that first. We work with hammers and chisels, chipping away at loose mortar, then we mix a stronger solution, replace it and step back to examine the handy work. 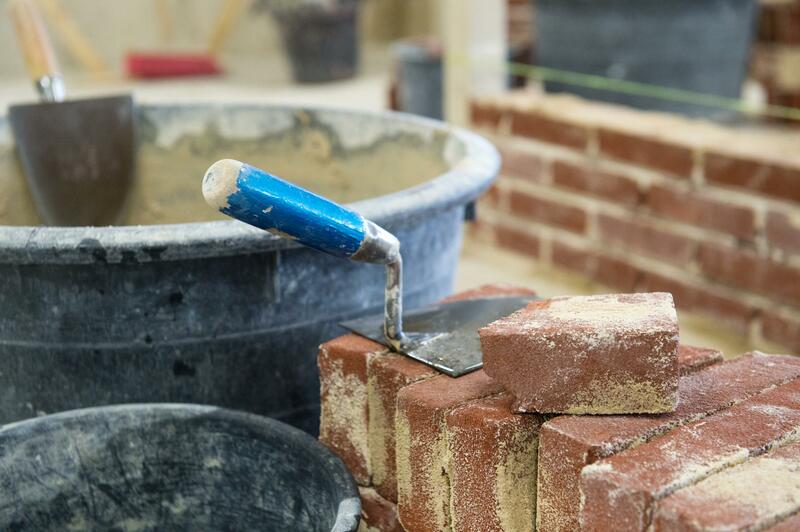 Once the job is complete, we will make sure that it is completely secure and ready to go before cleaning up the operation and leaving you to live your life with safe brickwork to support you.